BCM’s teacher training curriculum In Step with the Master Teacher (ISMT) is designed not just to equip children’s ministry leaders, but to multiply quality teachers around the world who in turn can train leadership in their own nations and regions. Since ISMT’s inception in 2004, God has used this curriculum to impact children’s ministry even in countries and regions far beyond where BCM has missionaries or resident trainers. Just how does that happen? The following four recent stories gives an answer. 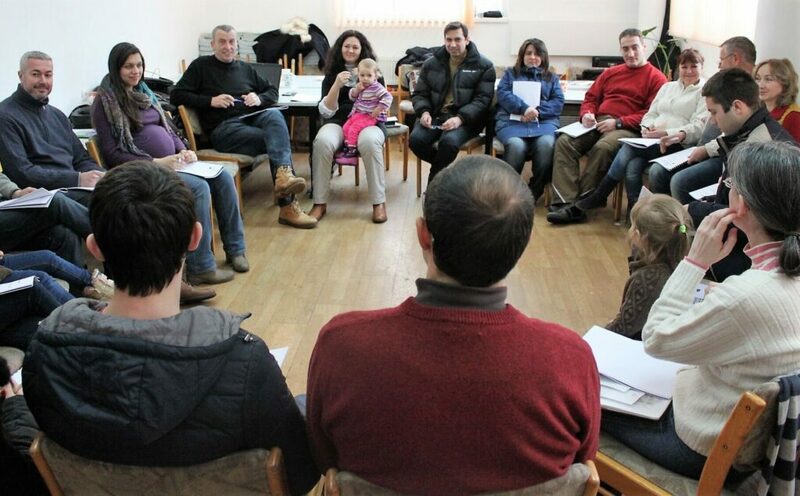 Emanuil and Luba Valkov are church leaders in Sofia, Bulgaria. Luba is Ukrainian, and it was BCM Ukraine staff who introduced her to Bob and Sandy Barber, BCM missionaries who first introduced ISMT to Central and Eastern Europe. At that time, Emanuil was working in a local Christian publishing house. A Bible school graduate, Luba, had worked with children’s and other church ministry. The Barbers were actually scheduled to teach Bulgaria’s first Train the Trainer (TTT) conference, a program designed specifically to equip local and regional leadership in using ISMT. They invited the Valkovs to attend. While Emanuil and Luba did attend, they did not then feel a call to children’s outreach. But in March 2014, the Barbers invited them to a BCM Mobilize event, held in different global regions to bring together top national leadership for advanced training and networking in children’s ministry. Mobilize Europe was being held in Ukraine, Luba’s home country, a sign, the Valkovs felt, that God was calling them to participate. While at that conference, God spoke to Emanuil and Luba clearly about the importance of reaching children with the Gospel. They returned to their church in Sophia with a determination to do something about it. Emanuil presented his vision to teach ISMT to the denominational leadership, and they gave him whole-hearted support. One practical impact has been men within the local churches stepping up to teach children where in the past only women carried out children’s ministry. In 2015, the Valkovs invited BCM trainers to Sophia to hold ISMT workshops for their church denomination. Three separate workshops held in March and October 2015 and January 2016 covered the entire ISMT course. The Valkovs then followed up to make sure the new trainees applied what they learned as they wrote their own Sunday school and Bible club lessons. In 2016, the Valkovs also asked BCM to help them write lessons for their summer children’s camp. But a year later in 2017, they felt competent and confident enough to write their own summer camp Bible lessons. 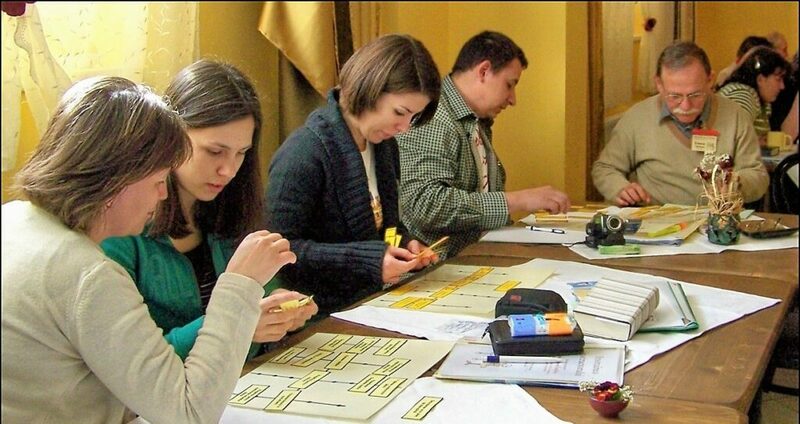 Now fifteen teachers in this Bulgarian church denomination are writing their own Bible lessons using ISMT principles. Last year, they developed twenty-eight lessons covering the content of Genesis and half of Exodus. Since chronological Bible teaching material is hard to find in Bulgaria, they are saving the lessons to be used by other churches with the hope of eventually having a full chronological Bible teaching curriculum for children. Over the years, Bob and Sandy Barber have conducted countless ISMT and TTT training events in Central and Eastern Europe. But Europe isn’t the only region impacted by their ministry. In 2017, BCM received an email from a trainee who had attended a TTT event more than a decade earlier in the Ukraine. To her great surprise, among the thirty-odd languages into which ISMT has been translated over the past decade was exactly the one she needed. The material was sent to her, and she later wrote back to share how God had blessed the training. All the way from the Ukraine, God is using this attendee from one of the earliest ISMT trainings to strengthen the Church in a distant part of the world that is closed to the gospel. 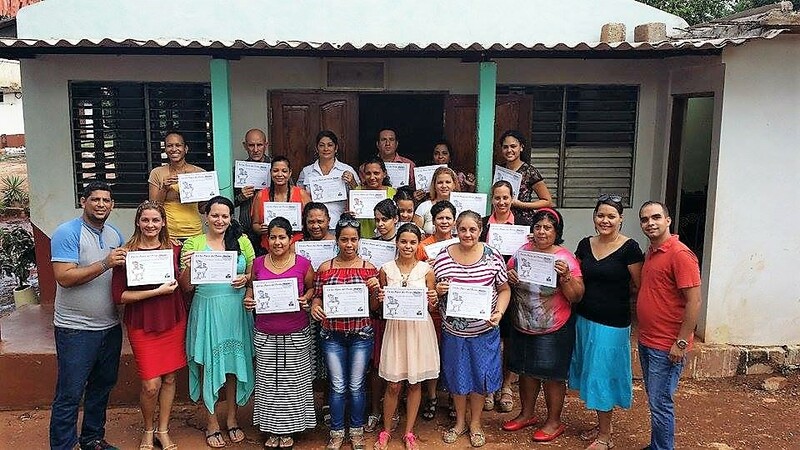 In 2014, BCM Lead Trainers from Peru Marion Odicio, Jonatan Odicio, and Francisco Barnuevo traveled to Cuba to hold ISMT training as well as a TTT conference. One of the TTT participants was children’s pastor Cecilio Rodriguez. In September 2017, we received news that he has conducted ISMT twice already in his hometown of Moa, training a total of seventy-six teachers, as well as in a neighboring town. Pastor Cecilio also traveled to Cordova, Argentina, where he carried out the first ISMT training in that vast country with sixteen new graduates. In November 2017, he held another ISMT training in one of Cuba’s most famous historical sites and tourist destinations, the maze-like colonial city of Camaguey in central Cuba. The impact of this one single ISMT graduate is even more significant as Cuba’s visa restrictions have tightened again, making it difficult for foreigners to enter Cuba for ministry purposes. But with trained leadership like Cecilio Rodriguez, the Cuban church has resources to continue equipping their own members for more effective ministry to children. While some nations close the doors to expatriate missionaries, Kenya remains wide open. BCM missionary Pat Govender from South Africa became an ISMT Lead Trainer in 2010. Since then, she has conducted ISMT and TTT trainings in eight different African nations—Democratic Republic of Congo, Malawi, Madagascar, Nigeria, South Africa, Swaziland, Uganda, and Kenya—leaving behind a goodly number of capable trainers who have been impacting their nations. Together with Ingrid Kjonstad, another South African Lead Trainer, Pat held a series of ISMT and TTT workshops in Kenya in November 2014. 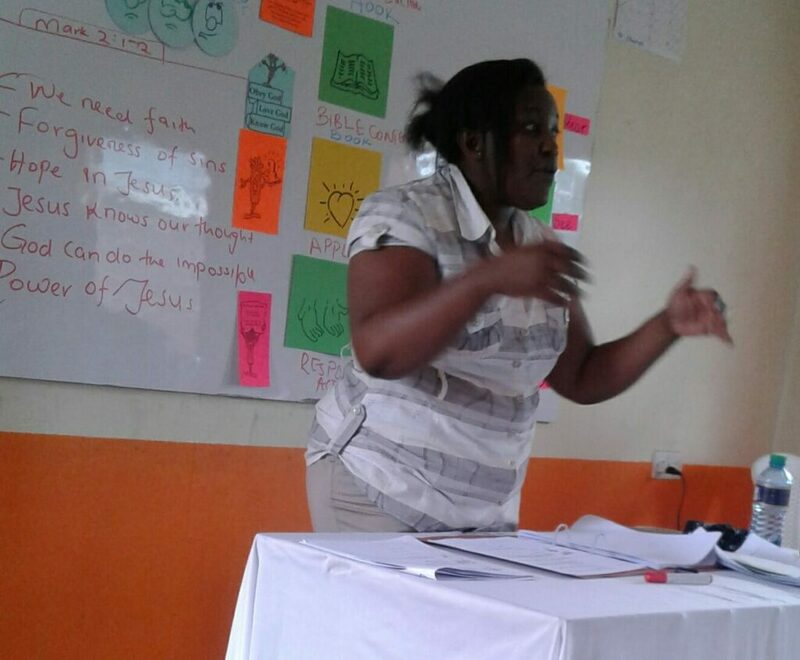 Jackie Nyakinyua is involved in curriculum writing and editing for the children’s ministry department of her church denomination, all of which use the same curriculum. Another of Pat’s trainees in Kenya is writing discipleship material using principles he learned from ISMT while a third recently shared that he is using what he learned in ISMT to create a Life Skills curriculum that will be used in public and private schools throughout Kenya. In Bulgaria, Latin America, Kenya, or other nations around the world, it is exciting to see the multiplying impact of seeds sown, not just among BCM ministries and churches, but regions far beyond. Whether taking God’s Word along with solid teaching principles from the Ukraine to a closed access country or from Cuba to Argentina, God is at work through ISMT, and BCM missionaries are privileged to be part of it.